Current research: Young Sexualities, Equalities and Well-being: children’s perspectives and experiences. 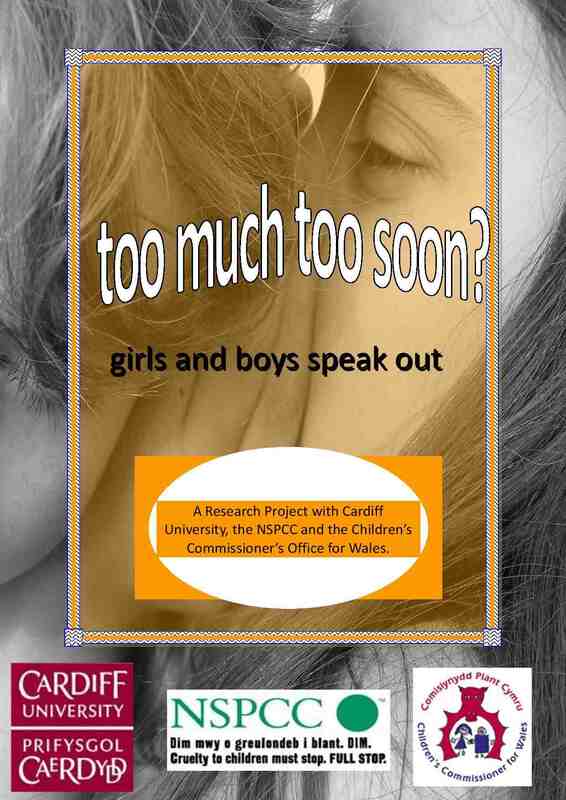 This is a research project to inform the National Assembly for Wales cross-party group, ‘Children, Sexualities, Sexualisation and Equalities’. to apply article12 of the United Nations on the Conventions of the Rights of the Child (UNCRC) and enable children to identify and shape future research, policies and practice. Over 140 children between the ages of 10-13 have participated in individual and friendship group interviews. Project findings will be launched at the Welsh Assembly in June 2013. If you would like to know more about this research project, e-mail Emma Renold at renold [at] cardiff.ac.uk. If you’re currently involved in any research projects around the themes of sexuality and gender in relation to children or young people, please do get in touch at youngsexualities [at] gmail.com if you’d like us to share the information. This entry was posted in research by youngsexualities. Bookmark the permalink.